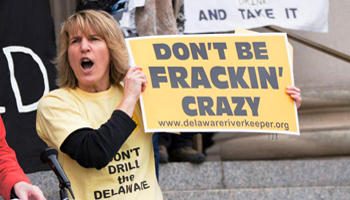 Delaware Riverkeeper Asks DRBC to Stop Mariner East; Will It Regret It? 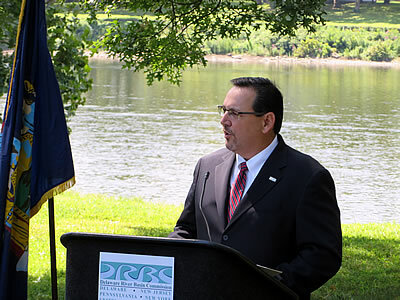 The Delaware Riverkeeper is forcing an issue with respect to DRBC authority and may (one hopes) come to regret it as others are forced to challenge both. Here’s the latest strategy in THE Delaware Riverkeeper’s ongoing war against fossil fuels, and against natural gas pipelines in particular: Pressure the Delaware River Basin Commission (DRBC) to revoke a permit granted by the agency to the Mariner East 2 (ME2) pipeline project on the flimsy basis that ME2 has “violated” the conditions of the permit. Frankly, we didn’t even know the DRBC had issued a permit for ME2. After all, ME2 is a state-permitted project and does not come under federal authority. We doubt the DRBC has legal authority to issue a permit for the project–but if no one challenges them, their authority stands. ME2 probably thought it easier to just get the permit and not squabble over it. 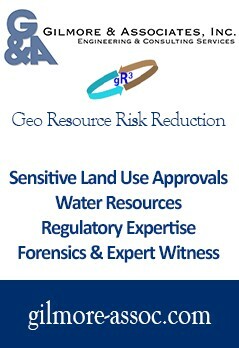 According to Big Green mouthpiece PBS StateImpact Pennsylvania, the DRBC is actually considering Riverkeeper’s request. The problem with this latest strategy by Riverkeeper is that DRBC’s executive director, Steve Tambini, is so weak, he may fold like a cheap deck of cards and actually do it. Tambini, who has been a major disappointment since taking over from the ultra-leftist Carol Collier, seems happy to take his marching orders from Riverkeeper. We have to wonder if this latest strategy will bear fruit. A scary proposition. But Riverkeeper isn’t content to try and scuttle ME2 by pressuring the weak DRBC as its only strategy. Last week the DRBC also filed a “groundbreaking” lawsuit against the ME2 project in U.S. District Court for the Eastern District of Pennsylvania, meant to stop the project by court order. The environmental group Delaware Riverkeeper Network issued a rare call to an interstate water regulator to withdraw its permit for Mariner East, saying the pipeline project has violated permit conditions on drilling and water pollution in the basin. DRN urged the Delaware River Basin Commission to suspend its docket, or permit, that was issued in December 2015 for the Sunoco pipeline project to run through 23 municipalities in the southeastern Pennsylvania portion of the basin. Sunoco has said the project is more than 95 percent complete and will be operational by the end of the third quarter. In a letter to DRBC Executive Director Steve Tambini on June 15, DRN said Sunoco had violated the docket by changing the number of horizontal directional drilling locations without notifying DRBC and by releasing water pollutants that contravened permits issued by other state and federal agencies, including Pennsylvania’s Department of Environmental Protection. Sunoco, a unit of Energy Transfer Partners, has released drilling fluid and sediment-laden storm water into the waters of the basin in dozens of incidents, violating Pennsylvania water-quality standards, and the conditions of state permits, which in turn violates the DRBC docket, DRN said. “In light of the severe and ongoing violations of the DRBC docket and the significant harm being inflicted on water resources of the basin, we are urging you to exercise your authority to suspend this docket and undertake a thorough review of the project,” the letter said. Neither Sunoco nor the Pennsylvania Energy Infrastructure Alliance, an advocate for Mariner East, responded to requests for comment. The letter listed 19 instances of storm water discharges in six counties and 10 spills of drilling mud in seven counties in support of its request. The incidents are based on DRN’s independent research, said the group’s head, Maya van Rossum, but some may overlap with incidents reported by DEP, which has issued 58 notices of violation to Mariner East since May 2017, most recently on June 15, according to the DEP website. Van Rossum said she did not recall another time when DRN asked DRBC to suspend its docket on any project. Peter Eschbach, a spokesman for DRBC, said he was not aware of the regulator suspending a docket for any project at any time over the last decade. In DRN’S letter, not all of the violations are in the Delaware River basin, and so fall outside of DRBC’s jurisdiction, but were included in the letter to show a “pattern of behavior,” van Rossum said. Van Rossum argued that DRBC’s credibility would be hurt if it doesn’t take enforcement action. “If they don’t enforce their own docket, then what is the value from the public’s perspective, of them issuing dockets?” she said. Given the many violations in the project’s 17-month construction history, the request to DRBC could have been sent earlier, but van Rossum said its timing now reflects the availability of time and resources rather than any attempt to win the support of at least two environmentally proactive Democratic governors – New Jersey’s Phil Murphy and New York’s Andrew Cuomo. “This was an important stone that has been left unturned,” she said. 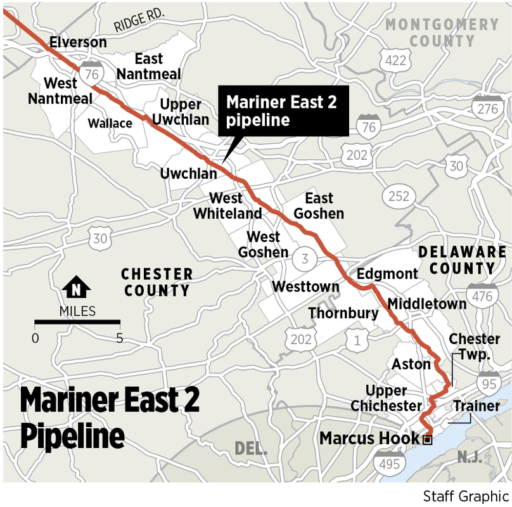 Sunoco has said the multibillion-dollar Mariner East 2, the first of two pipelines in the project, will be completed by the end of September. It will carry propane, ethane and butane some 350 miles from the Marcellus Shale of southwest Pennsylvania and Ohio to a terminal at Marcus Hook near Philadelphia where most of it will be exported for overseas petrochemical manufacture. A copy of Riverkeeper’s “request” (i.e. demand) to DRBC to pull ME2’s permit can be found here. As we mentioned in our opening comments, Riverkeeper is also working on another strategy to try and defeat, once and for all, the ME2 project. Hurdle, once again taking dictation from his overlords at Riverkeeper, breathlessly “reports” that THE Delaware Riverkeeper has filed a “groundbreaking” lawsuit against Sunoco Logistics Partners and ME2 for violating federal clean water laws. (Yawn.) This is more of the same. A waste of the court system. Read about it here if you’re interested. Hey IRS–when are you going to investigate the William Penn Foundation and other financial backers of the rabidly partisan and political Delaware Riverkeeper? Riverkeeper gets to file lawsuit after lawsuit, using lawyers paid for with money by William Penn–and yet Riverkeeper and William Penn get to keep their tax-exempt status. A clear violation of the tax code. Editor’s Note: Like Jim, I was surprised the DRBC had even been involved with the Mariner East pipeline. Why? Because a pipeline is quite obviously not a water project and Mariner East doesn’t cross the Delaware. The DRBC, ever power-hungry, apparently decided some time ago it could regulate pipelines and pragmatic pipeline companies, more desirous of securing approvals from whomever than fighting back, decided not to make an issue of it. They got the approval the Commission asserted was required, so there was no incentive to litigate whether, for example, the Commission actually had such authority. Things have now changed. The Delaware Riverkeeper is effectively forcing the issue, which may well lead to Mariner East or others finally challenging the Commission’s authoritarian overreach. The DRBC, too, may also be forced to defend its stretch of the terms “projects,” much the same it was in the Wayne Land & Mineral Group’s still pending lawsuit against the DRBC with respect to gas well pad regulation. Defending the idea pipelines are water projects is not something the DRBC wants to have to do right now and the Delaware Riverkeeper could get a result it very much won’t want, a court decision narrowing, rather than expanding, DRBC authority. Wouldn’t that be a delightful irony? It’s not likely that either the Riverkeeper or the DRBC will regret their actions. They’re following the old Ayn Rand quote: “It isn’t who is going to let me; it’s who is going to stop me.” and trying to grab power they don’t have. If they lose the challenge, they lose none of their existing power, but have cost the pipeline yet another delay. They win if they deny gas the “first mover” advantage. Yesterday’s Holland Township article shows that gas can provide clean, dependable energy now without using the large amounts of space wind or, especially, solar need or waiting for battery technology to scale up and make them reliable when needed. Any gas infrastructure built now will be in use for the next 20-25 years and will slow or eliminate the need for renewables until then.